Beautiful BMW i3 photoshoot all around Central London and Canary Wharf showing off the BMW i3’s new lounge like interior! 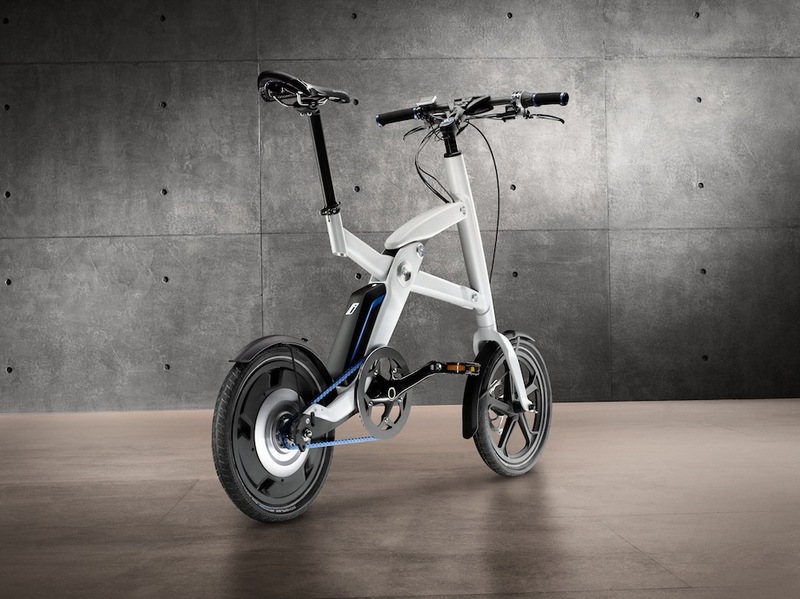 For the first time we have pictures of the new BMW i Charging station and a new foldable BMW Pedelec Electric Bicycle Concept to further extend your range with your lunch. Read the full press release inside. New concepts mark the opening of the world’s first BMW i Store. To coincide with the opening of the world’s first BMW i Store on London’s Park Lane, the BMW Group will present the BMW i3 Concept with a new interior colour and materials concept. Based on the original concept car which premiered at last year’s Frankfurt International Motor Show (IAA), the BMW i3 Concept is now influenced even more heavily by the “next premium” approach, and in so doing trains the spotlight squarely on the issue of sustainability. 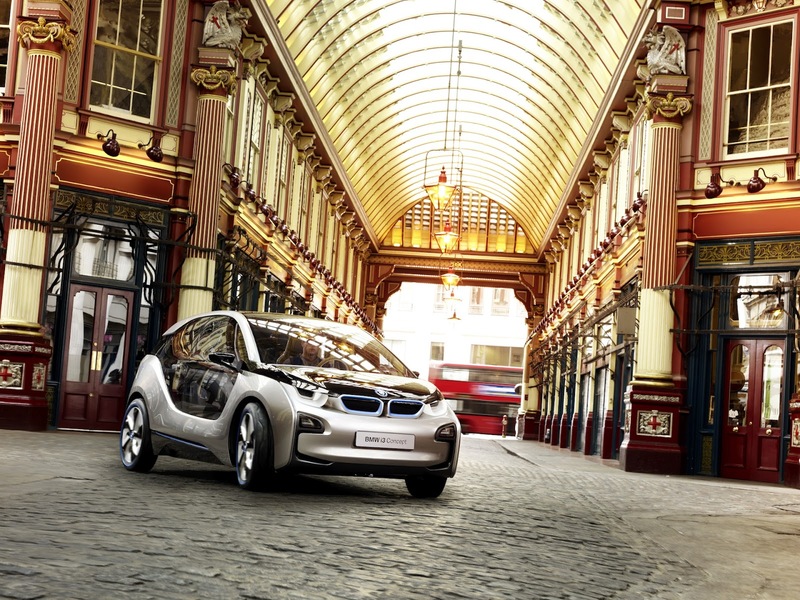 – a custom-made complement to the BMW i3 Concept. The ace up the sleeve of the compact bicycle? It can be folded up almost in the blink of an eye and, handily, there is room for two of them in the boot of the BMW i3 Concept. 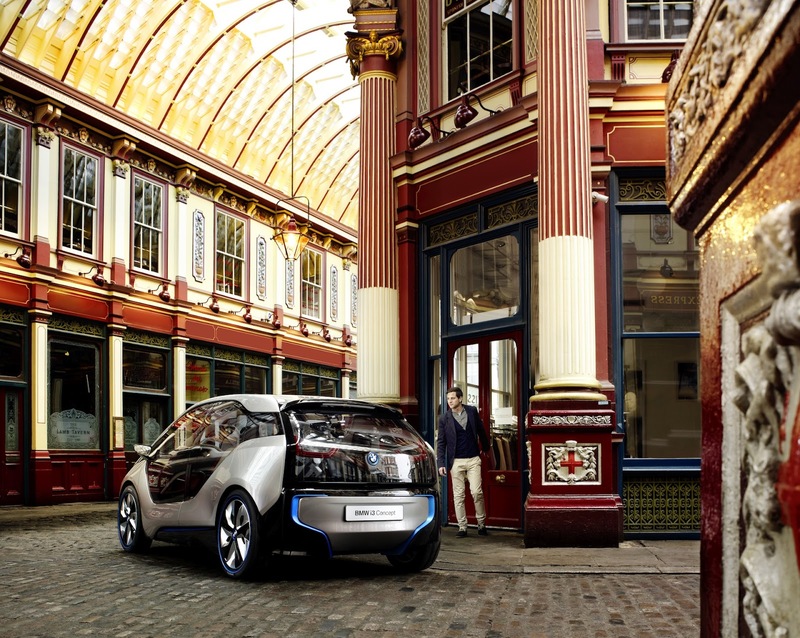 The BMW Group will unveil its comprehensive 360° ELECTRIC package in London for the first time. This extensive range of products and services provides an extremely reliable, comfortable and flexible way of experiencing the benefits of electromobility on a day-to-day basis. New BMW i sales channels are designed to give customers a user-friendly and customer-orientated access point to its range of products and services. To this end, it has demonstrated a particularly acute awareness of customers’ increasing expectations when it comes to flexibility within the purchasing process. 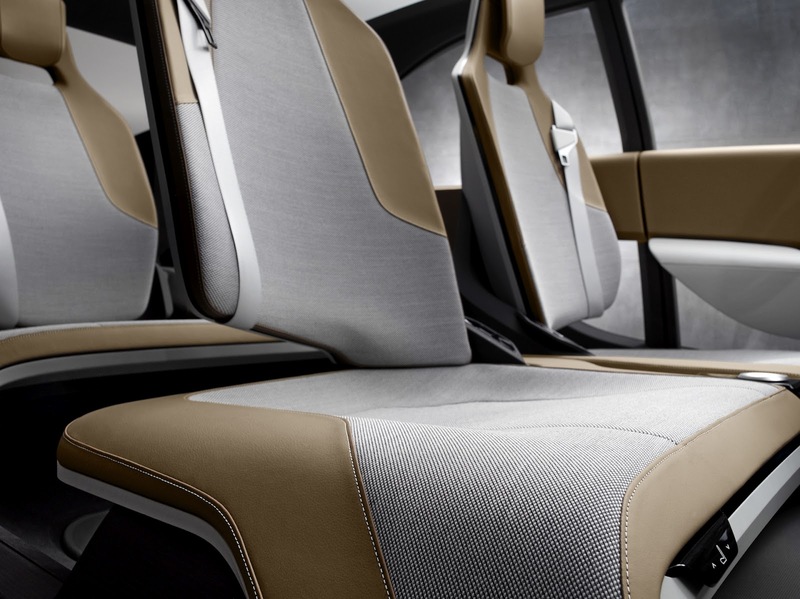 New BMW i3 Concept: generous feeling of space combined with a unique materials concept based around renewable raw materials. A mixture of leather, wood, wool and other renewable raw materials shapes the face of the BMW i3 Concept interior, the extensive use of natural fibres inside the car underlining the premium blueprint of BMW i. The eucalyptus wood used for the instruments is sourced from sustainably managed European forests. This ensures that delivery distances remain short and keeps the spotlight on sustainability through all the stages of production. The wood is treated using natural materials, giving it a high-class finish and distinctive hue. A natural tanning agent made from olive leaves is used for the leather adorning the interior. This extract from the leaves of the olive tree provides the leather with a natural layer of protection against bleaching and wear. 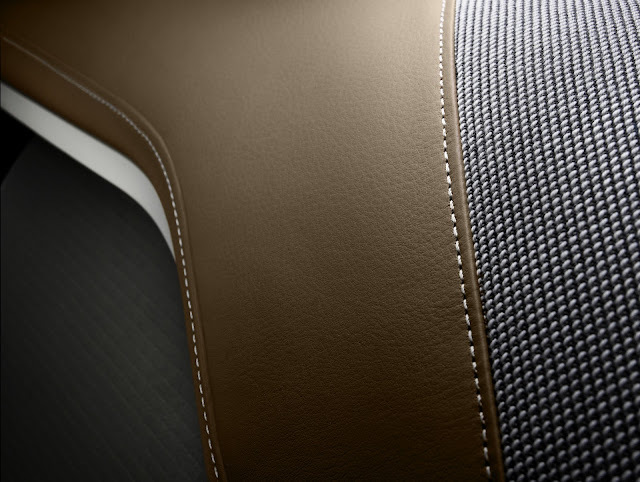 Production of the naturally tanned leather – which comes in the new colour tone Cassia – therefore focuses on maximising durability as well as minimising environmental impact. The leather combines with the high-quality wool used for sections of the instrument panel and door trim to lend the interior a pleasant lounge-style ambience. The passenger cell – the Life module – opens up a generous feeling of space beyond the scope of any conventional series-produced car to date. There is no centre tunnel bisecting the cabin, and the interior creates an open and airy impression. 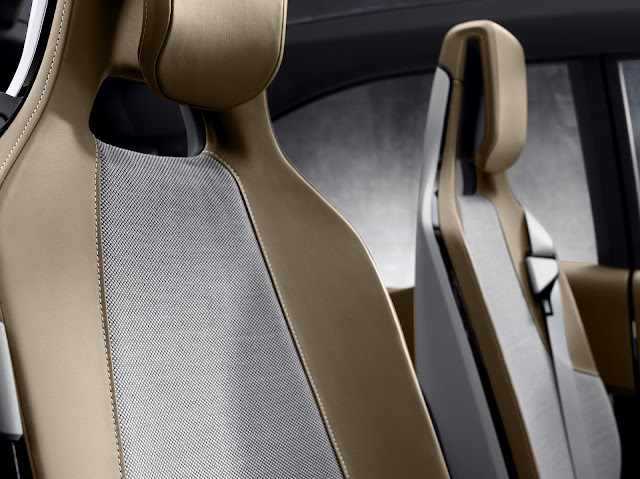 The full-width seat benches in the front and rear allow passengers to swap easily from one side of the car to the other and climb out comfortably – a boon in tight parking spaces, in particular. The passengers sit in a slightly raised position, which allows good visibility in city traffic and makes it easier to get in and out of the car. Cockpit shows off cutting-edge interface design. BMW i Design: dynamic proportions wrapped up in a new colour scheme. 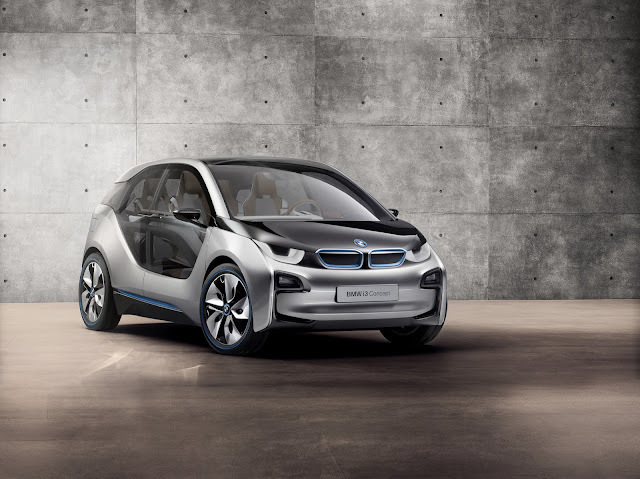 The design of the body reveals the qualities of the BMW i3 Concept the first time you set eyes on it. Dynamic and compact proportions advertise the car’s agility and the sporting prowess of its electric drive system. The car’s dominant colours are the new shade Andesite Silver and familiar High-gloss Black, with eye-catching touches added by the BMW i Blue adorning the logo, kidney grille, door sills and rear apron. The high-gloss surfaces and the contrast of black, silver and blue combine to showcase the car’s impressive product substance. The silhouette: a light and airy “space shuttle”. 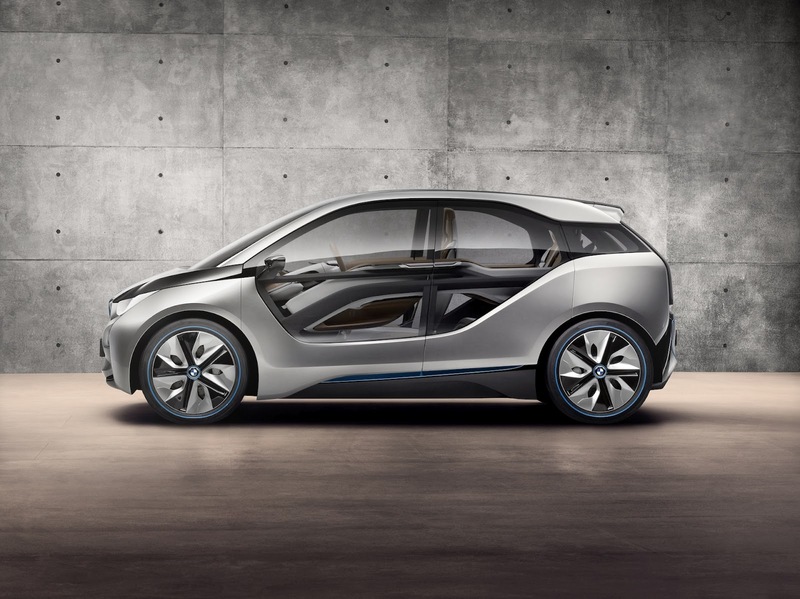 Viewed from the side, the dynamic wedge shape, flowing silhouette and long wheelbase of the BMW i3 Concept catch the eye. 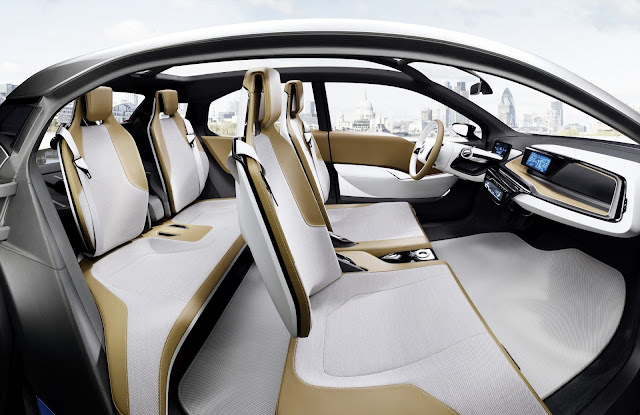 From this angle, the exceptional spaciousness of the interior is already evident from the outside, while the short front and rear overhangs point to the excellent manoeuvrability of the BMW i3 Concept. The car’s functional qualities are also underlined by the opposing “coach” doors, which enable extremely comfortable access to the light and airy interior. Generously sized glazed surfaces create a light-footed appearance and, together with the visible carbon structures, lend visual expression to the car’s impressively low weight. The hallmark BMW i front end. The clearly structured front end of the BMW i3 Concept is dominated by the strikingly designed kidney grille, which has the hallmark BMW i blue background and – thanks to the car’s all-electric drive system – is totally blanked off. Below the kidney grille, a silver-coloured layer lends the front apron its form. Black-painted surfaces mark out the functional areas of the front end, such as the load compartment under the bonnet and the air inlets, while pronounced Air Curtains provide the car’s advanced aerodynamics with an additional visual focus. Another conspicuous feature at the front of the car are the LED headlights with their signature BMW i U-shaped design. 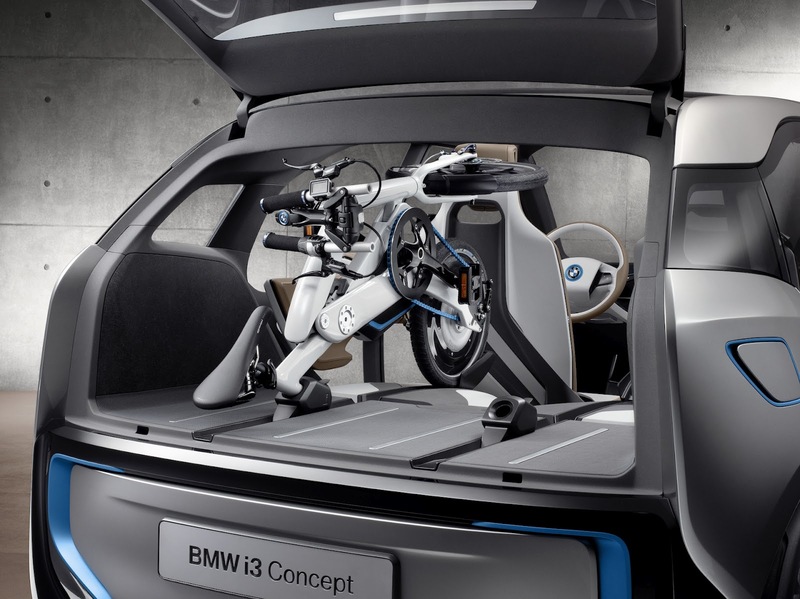 The rear exudes practicality and offers enough space to accommodate the BMW i Pedelec Concept. 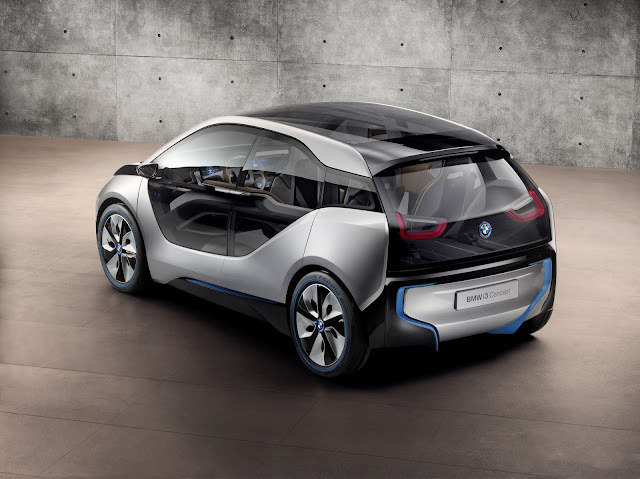 The practicality of the BMW i3 Concept is highlighted particularly vividly at the rear of the car. A large, wide-opening rear window offers optimum access to the rear compartment, while the upright roof pillars create additional load capacity. The variable-usage boot can be further expanded by folding down the rear seats and can accommodate two folding BMW i Pedelec Concept electrically-powered bicycles, which make it significantly easier to move around urban areas, in particular, but also provide increased scope for mobility when you swap the city streets for country air. A broad rear diffuser and U-shaped rear lights integrated into the rear window lend visual emphasis to the car’s powerful stance. LifeDrive architecture: innovative modular design. To exploit the potential of electric drive as effectively as possible, the BMW i3 Concept’s architecture, chassis and body are designed to meet the specific challenges facing mobility today. By implementing key features like lightweight design, use of innovative materials and crash safety today, the BMW i LifeDrive concept has already paved the way for the electric drive technology of tomorrow. As with a body-on-frame set-up, the LifeDrive architecture is a horizontally split construction consisting of two separate, independent modules. While the Drive module, most of whose components are made of aluminium, incorporates the drive system, battery and chassis, along with basic structural and crash functions, the Life module is a lightweight yet high-strength passenger cell made from carbon fibre-reinforced plastic (CFRP). This is the first time this high-tech material has been used on such a large scale in automotive production. The concept model also scales new dimensions in weight, structural strength and crash safety. 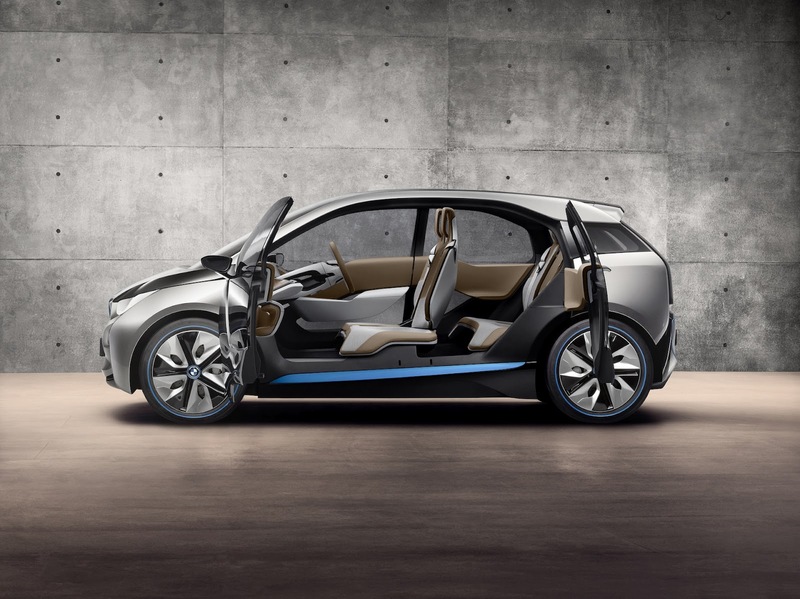 As well as their benefits for performance and agility, these qualities also increase the driving range of the BMW i3 Concept. The LifeDrive architecture is purpose-designed for an electric- drive vehicle – for example it allows the large battery packs to be integrated entirely underfloor, in the centre of the vehicle, resulting in both a low centre of gravity and optimal balance. eDrive: agile, powerful drive system, emission-free at the point of use. With four seats, wide-opening doors and around 200 litres of boot space, the electrically powered BMW i3 Concept is a practical and intelligent city car which produces zero local emissions. Its electric motor develops 125 kW/170 hp and produces its peak torque of 250 Newton metres (170 lb-ft) from standstill. The electric motor provides the lightweight BMW i3 Concept with dynamic performance and impressive agility – and not only when pulling away from traffic lights. The electric concept model sprints from 0 to 60 km/h (37 mph) in under four seconds, and to 100 km/h (62 mph) in under eight seconds. The generous torque is available across a wide rpm range, resulting in very smooth power delivery. A single-speed gearbox sends the power to the rear wheels and accelerates the BMW i3 Concept to a top speed of 150 km/h (93 mph) – without interrupting the torque. Power electronics: intelligent and efficient. Intelligent power electronics ensure that the electric power onboard the BMW i3 Concept is used economically and efficiently. If the driver eases up on the accelerator, the electric motor acts as a generator, converting the kinetic energy into electricity which is then fed back into the battery. This results in a braking effect which the driver can make use of as necessary. Alternatively, the driver can select coasting mode, in which the zero torque control keeps the electric motor disconnected from the drive axle. In this mode the BMW i3 Concept coasts with virtually no power consumption, driven solely by its own kinetic energy. With ECO PRO mode, drivers can increase the driving range of their vehicle and reduce their power consumption at the press of a button. With ECO PRO+, the BMW i3 Concept takes this a stage further and operates exclusively in range-maximising mode. In this mode the main electrical consumers such as the air-conditioning and heating systems operate at minimum power level, and auxiliary consumers such as the heated seats and heated mirrors are shut down altogether. High-voltage battery: reliable, durable and powerful. Another stand-out feature of the innovative electric drive system is the high power-to-size ratio of the motor. Since this compact drive unit is mounted over the rear axle, together with the power electronics, transmission and differential, there is no reduction in interior space. The power needed to drive the motor and to operate all other vehicle functions is supplied by specially developed lithium-ion battery cells. They too are positioned underfloor, in an ideal location. 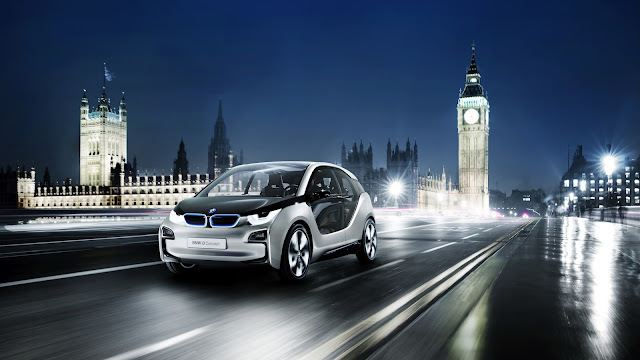 The optimized design of the high-voltage battery used in the BMW i3 Concept minimizes the effect of variations in external factors on the amount of power the battery can provide. An intelligent heating/cooling system keeps the battery at its optimal operating temperature at all times, helping to increase the performance and life expectancy of the cells. The battery can be fully recharged in six hours at a standard power socket. 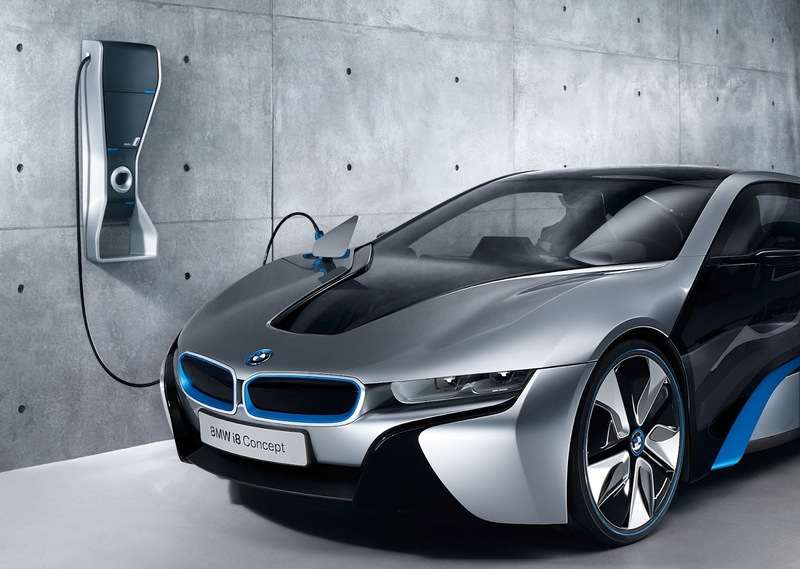 If the BMW i Wallbox high-speed charger is used, an 80 per cent charge can be achieved in just one hour. 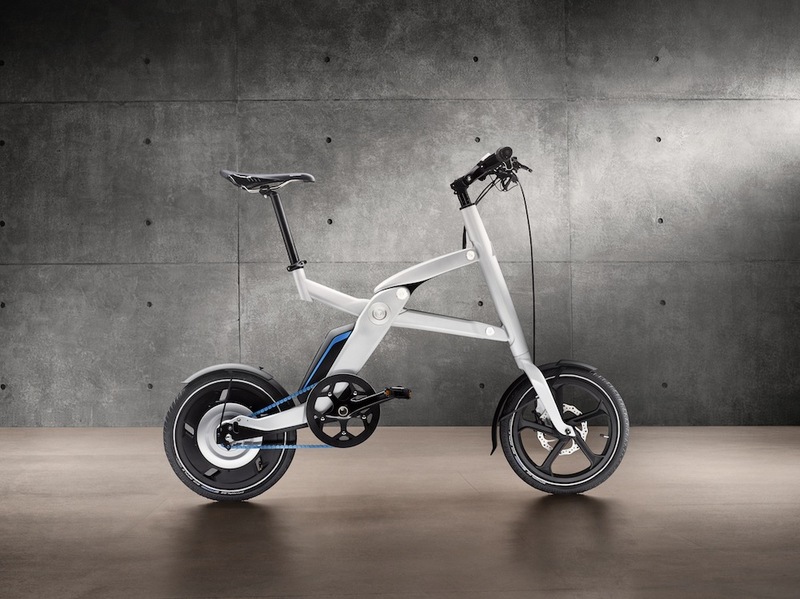 BMW i stands for visionary vehicles and mobility services, inspiring design and a new approach to premium mobility that is strongly focused on sustainability. Under this new sub-brand, the BMW Group is developing purpose-designed vehicle concepts which will redefine the whole concept of personal mobility. The cornerstones are the use of innovative technologies, intelligent lightweight design and innovative materials to create vehicles with minimized weight, maximized driving range, generous interior space, effortless driveability and optimized safety. Part of the same family as the BMW i8 Concept Coupe and BMW i8 Concept Spyder hybrid models, the BMW i3 is the first all-electric vehicle from BMW i. It will go into production in 2013. Sustainability is a defining feature of BMW i and is applied right across the value chain, from purchasing, development and production to sales and marketing. BMW i will take efficiency to new levels in the production of its vehicles: the Leipzig production plant will achieve additional 70 per cent savings on water consumption and 50 per cent savings on energy consumption per vehicle produced. Moreover, 100 per cent of the energy used will be renewable. 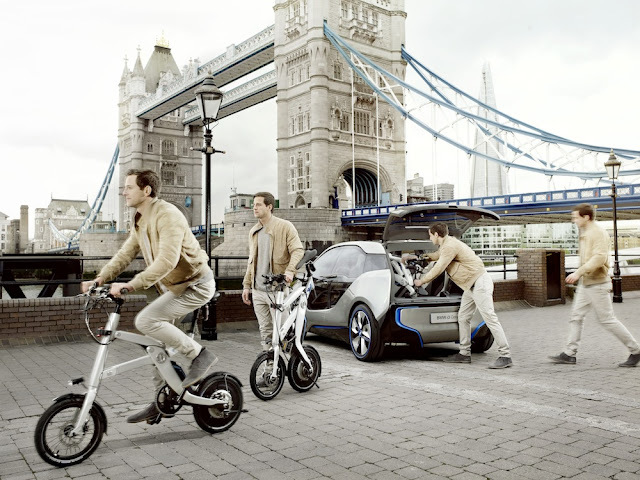 BMW i: New sales structures for personal mobility give customers a whole new buying experience. 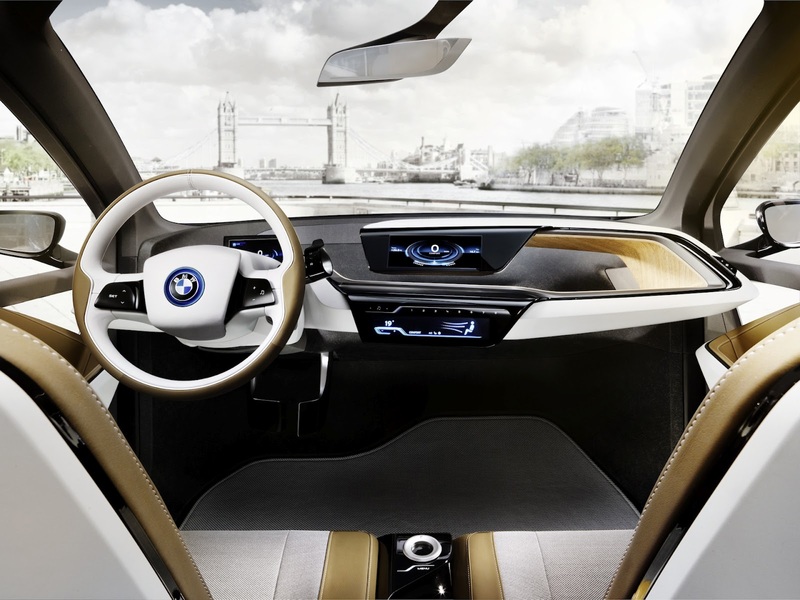 BMW i is a byword for the development of visionary vehicles boasting inspirational design and demonstrating a particularly keen sense for sustainability. 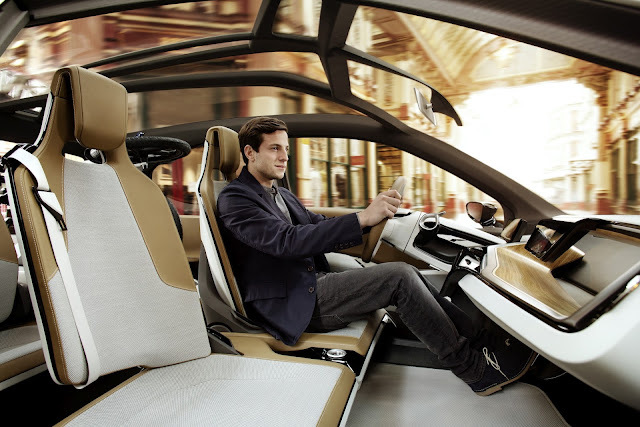 However, BMW i also represents a fresh understanding of premium mobility, a form of personal mobility and flexibility geared to the demands of the future and the requirements of its clientele. 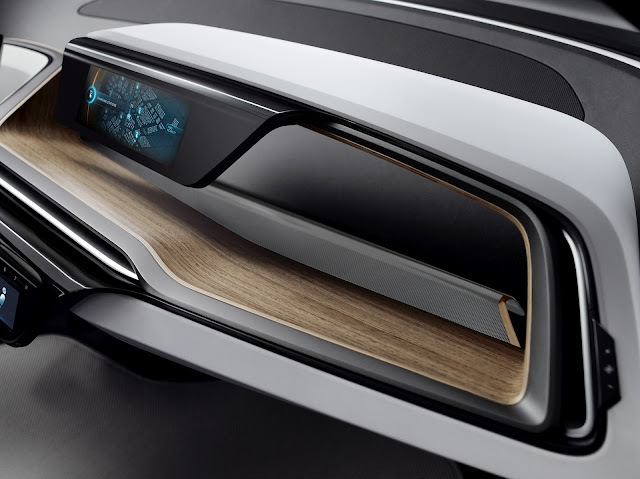 New BMW i sales channels are designed to maximize the user-friendliness and premium attributes the sub-brand’s customers experience in accessing its range of products and services. To this end, it has demonstrated a particularly acute awareness of customers’ increasing expectations when it comes to flexibility within the purchasing process. This unwavering focus on what owners want opens up an all-new buying experience and helps to put clear water between BMW i and its competitors. Sales of BMW i products and services will be handled via an innovative multi- channel model in selected markets. In addition to the established “stationary” sales channel – i.e. an authorised dealer – BMW i will also bring a mobile sales team, a Customer Interaction Centre (CIC) and internet sales hub on stream. All the new platforms will be fully interlinked, enabling customers to tailor their chosen contact channel to their needs and/or switch between channels at any time during the purchasing process, should they so desire. The internet channel represents an ever-present response to a customer’s need to be able to source information and purchase products at any time and from any location. BMW is setting out to ensure that these benefits are available for all products and services. The Customer Interaction Centre (CIC), meanwhile, specializes in providing a more personal service, if required. This includes a full suite of information on every aspect of mobility services and sustainability, and the services of a mobile sales advisor. A mobile sales advisor offers potential customers the option of one-to-one consultancy for a BMW i product, provided on a flexible basis and away from the BMW showroom. This allows individual requirements – covering everything from model selection, equipment specification and colour to finance options – to be identified at an early stage. The mobile sales advisor arranges an initial test drive appointment at the most geographically convenient BMW i partner outlet for the customer. And the customer can also benefit from the advisor’s personal assistance during the initial introduction to the car and the test drive itself. Whichever sales channel(s) a customer chooses, their contract is always with BMW AG and not, as is usually the case, with the dealer; this applies regardless of whether the customer has opted for one of the wide range of leasing offers or decided to purchase the BMW i outright. The new sales channels can even process all the various means of payment. The traditional sales channel provided by independent authorised BMW dealers will continue to play an important role in vehicle sales. Expanding the system into a multi-channel model provides sales partners with additional resources when it comes to prioritizing time spent with customers. However, not all BMW dealers will also sell BMW i models. Based on the customer target groups and vehicle characteristics, the BMW Group is initially intending to serve the regions generating greatest demand – i.e. large population centres – via selected BMW i partners. More than 10 per cent of European BMW dealers are expected to represent BMW i from the launch of the sub-brand in 2013, focusing primarily on vehicle availability and the range of services on offer to customers. And should demand increase as expected, the network can be expanded at any time to include additional BMW i sales partners. The company’s main objective, however, is to maintain its focus on a comprehensive network of service locations which aims to maximise customer satisfaction and take into account the operating range of BMW i vehicles. For the most part, a standard service can be carried out within the existing BMW Service network. The bespoke elements of the carbon-fibre Life module and servicing of the high-voltage battery under warranty will be taken care of by experts at the selected BMW i partners. 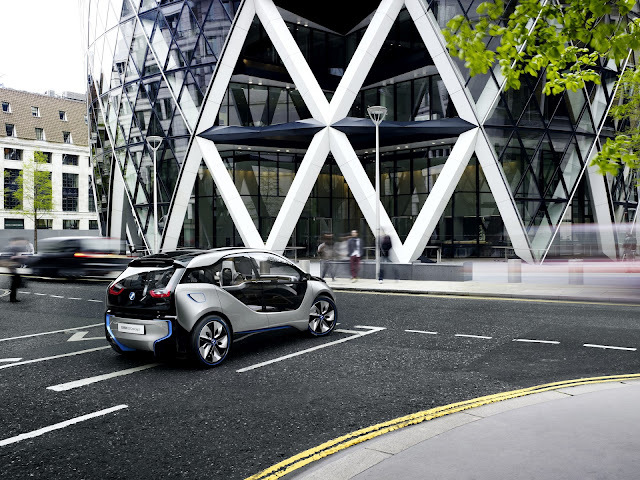 BMW i: 360° Electric – the complete product and service package for electric mobility. Taking the basic requirements for an electric vehicle as reliability, ease of use, and effortless everyday driveability, particular attention was devoted to aspects such as driving range, battery life, maintenance, charging options and breakdown management – those aspects which are foremost in the minds of EV drivers. With 360° ELECTRIC, BMW i will offer a complete product and service package which BMW i3 drivers can rely on at all times, wherever they go. This package will be adaptable to a complete range of individual, user-specific mobility preferences, using innovative concepts and solutions. 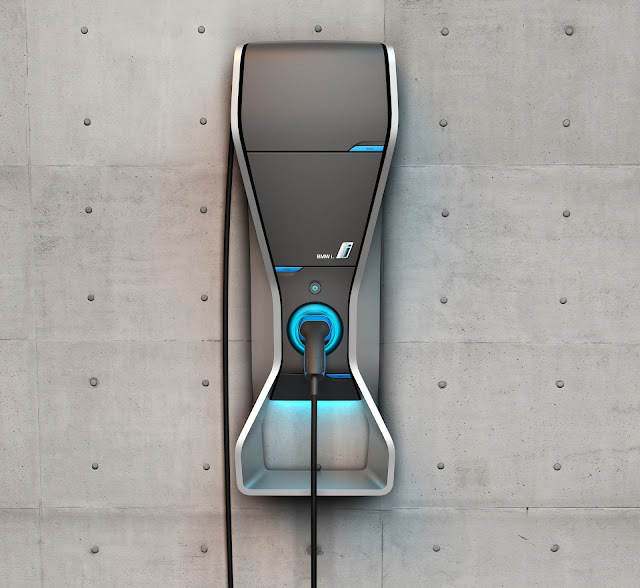 The 360° ELECTRIC product and service package is based on four main pillars: home charging, public charging, guaranteed mobility and, fourthly, integration with other innovative mobility concepts in order to overcome range restrictions. Services available to BMW i customers will include supply and installation of a home charging box, supply of green electricity, access to public charging points, comprehensive maintenance services and mobility guarantees, flexible car- sharing solutions and helpful BMW apps for the computer and smartphone. The driver will encounter one of the main differences between a conventional, combustion-engined vehicle and an electric vehicle when it comes to recharging. That said, in other areas of their daily life, drivers have long been used to recharging electric devices such as a mobile phone on a regular or as-needed basis. In the same way the BMW i3, too, can be recharged at any standard household power socket. 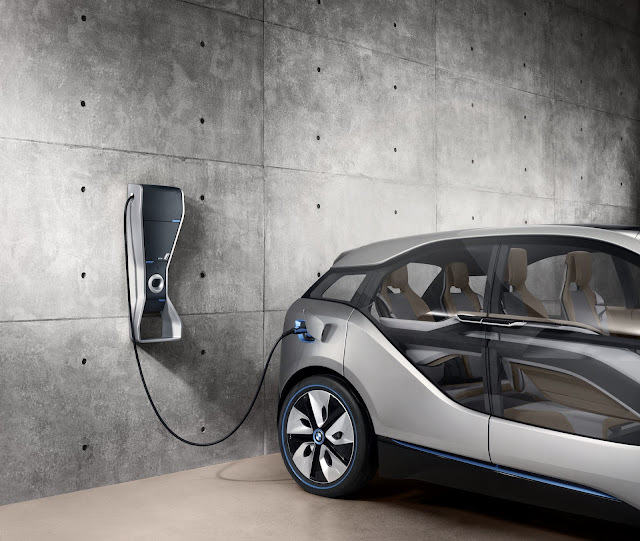 For customers with their own garage or private parking place, BMW i will additionally offer BMW i Wallboxes which offer not only safer but also convenient and faster charging. Customers will be able to choose between a basic version for safe and convenient charging and a premium version for even faster, “smart” charging (for example charging can be managed in accordance with the current grid load). Optionally, BMW i can also provide an installation service for the BMW i Wallbox, which will be fitted by a trained specialist. And because sustainable electric mobility begins with sustainable electricity generation, BMW i can also help drivers who want to use renewable “green” electricity. To go with home charging, BMW i will also offer drivers a range of green electricity products supplied in cooperation with partners in the energy industry. Beyond this, BMW i can offer individually tailored solutions for customers who are not able to charge their vehicle at home or in the workplace. This will be the case particularly in towns and cities where parking space is very limited. In cooperation with car park operators and operators of public charging points, BMW i will offer such customers easy access to a full-coverage network of public charging stations. 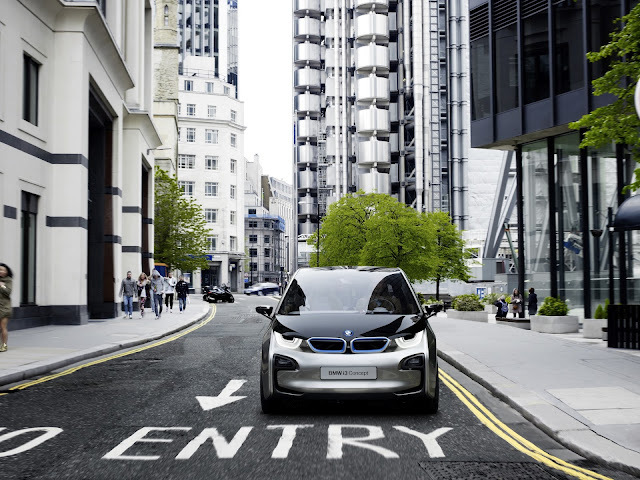 Using their navigation system, or via the internet and/or a smartphone app, BMW i3 drivers will be able to find out where charging stations are located along their route and, wherever the relevant technology is already up and running, conveniently book and pay for a slot in advance. This will also mean drivers can be sure of finding a slot available whenever they need one. With the BMW i3, drivers can enjoy driving a reliable vehicle with the additional reassurance of being able to call on assistance round the clock if they need it. A comprehensive maintenance system and mobility guarantees, and intelligent comfort and convenience features, will ensure that customers can enjoy the advantage of electric mobility without stress or fuss. Amongst other things, they can use their smartphone to check on – or program – the battery status and charge level, or remaining vehicle range. They can also check on or program the heating and air-conditioning systems. A navigation system with special additional options will provide useful assistance with journey planning. For example, it can be programmed to select the most energy-efficient route. Drivers can also view charging stations situated along their route,so that they make the most of the BMW i3’s driving range. In this connection BMW i is also actively supporting – together with other partners – the development of an integrated public charging infrastructure which will offer EV customers further convenience features such as advance booking of charging stations and easy and transparent payment processes. All service or repair work requirements are covered by a comprehensive service package. The work is performed by a BMW i service partner, and the BMW i customer is offered an extensive choice of replacement mobility options while the car is off the road. BMW also provides prompt service in the highly unlikely event of a breakdown, or if the battery charge runs out. BMW mobile service vehicles will either charge the BMW i3 on the spot or, if the customer prefers, transport it to the nearest charging station. Sometimes customers have mobility requirements that cannot be optimally met by an electric vehicle, due to range restrictions. For such cases, BMW i offers complementary mobility packages which ensure that drivers who need to travel longer distances can do so without difficulty – for example by providing temporary hire of a conventionally powered BMW. 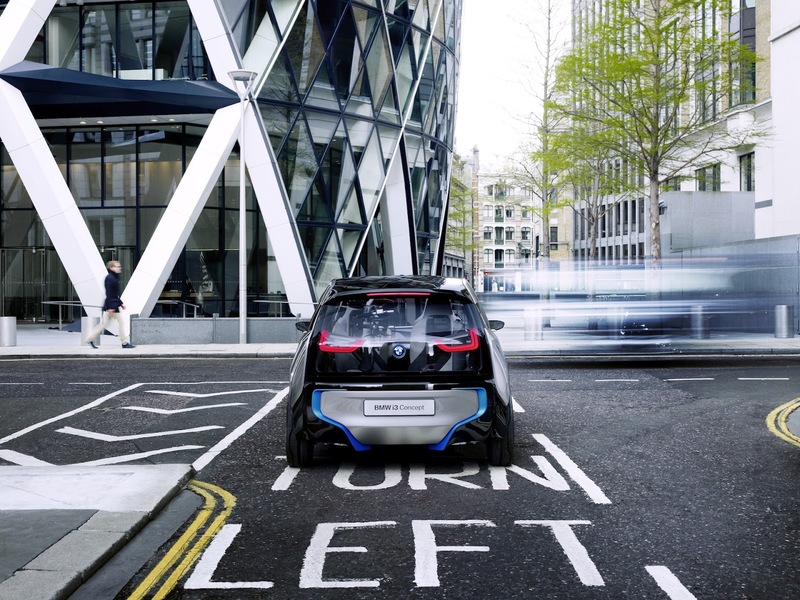 For maximum flexibility, particularly in the event of urban congestion problems, the BMW ConnectedDrive functions can also signpost customers to alternative modes of transport such as suburban rail or metro. And BMW i customers will also have access to the DriveNow car-sharing service, which can be an invaluable option when traveling to another city on business. With its 360° ELECTRIC package, BMW i is demonstrating how intelligent, flexible solutions can overcome the range restrictions of an electric vehicle. With this complete product/service package, BMW i will offer electric vehicle customers convenient and cutting-edge mobility whose flexibility offers attractive options for all types of customer.